Now that Miss L is 10 months old, I look back at my pregnant self with amusement. I thought I had to have EVERYTHING ready for the first 6 mo. of her life. The drawers of her dresser were full of enough washed clothing for her to wear for a year. I had every kind of baby medicine you could ever need (I still haven’t used most of it). Diapers? Wipes? Enough for months! 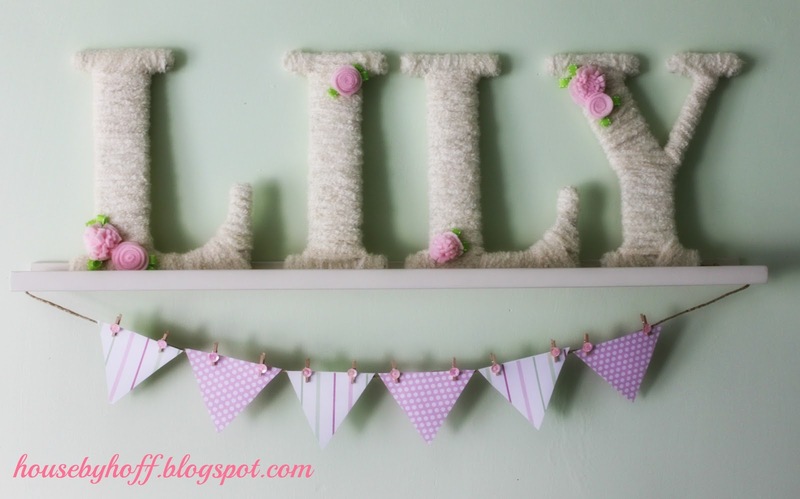 I was baby crazy….and, not surprisingly, I went crazy decorating her nursery too. I busied myself making lots of accessories and had lots of fun doing it!! 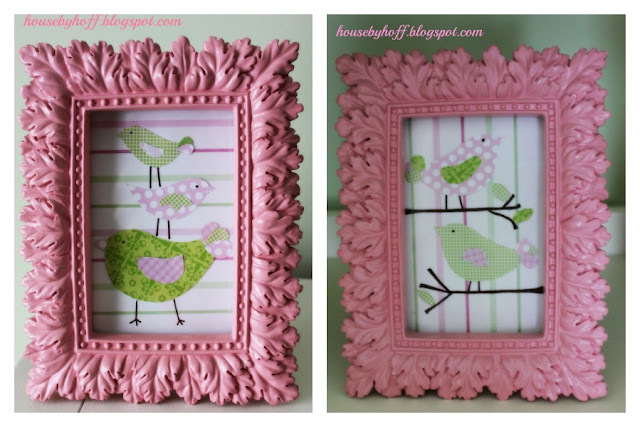 One of my favorite things I did was make “birdie prints”. I was inspired by prints I saw on Etsy. Instead of buying them, I decided to make the prints myself using scrapbook paper. I found these frames at Home Goods and spray painted them “Sweet Pea” by Krylon. 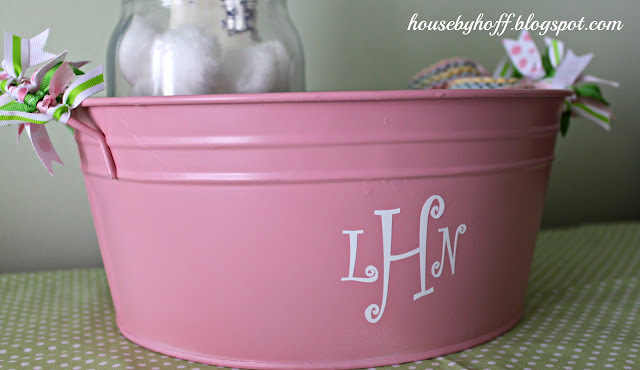 Another favorite project was making decorative buckets. The possibilities are endless for these. I put glass jars in one and keep her q-tips, cotton balls, etc. in it. The other houses her washcloths. I ordered these vinyl decal monograms on Etsy. Tying little bits of ribbon onto the handles also added a little bit of color. These were spray painted with the same “Sweet Pea” color as the frames. 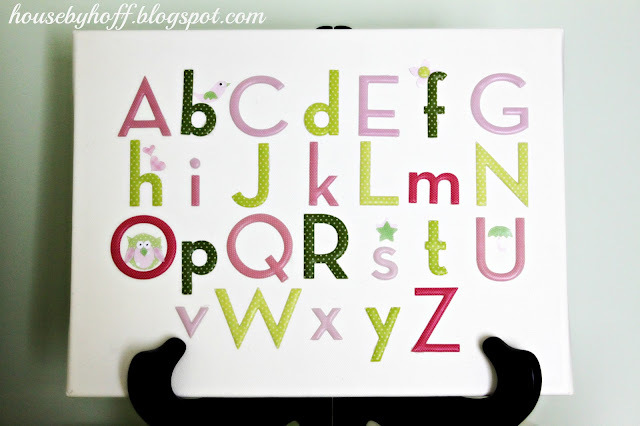 This ABC board is made of scrapbooking letter stickers, bought at Hobby Lobby. I didn’t trust the “stick” on the back of the stickers to last for a long time, so I actually dabbed hot glue on the back of the letters for reinforcement. I used a blank canvas and sprayed the finished product with Krylon’s Low Odor Clear Finish spray. I used scrapbook paper to make the little owl, star, umbrella, etc. The best part of her room, in my opinion, are the yarn-wrapped letters with felt flowers. 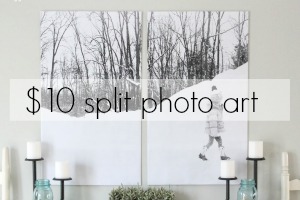 These were super easy to make, and make a great focal point in the room. 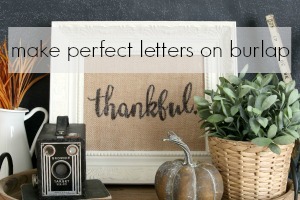 I used this tutorial to make the letters. The scrapbook paper flags underneath are the perfect finishing touch! I wonder if I’ll have as much time to make accessories for the next kiddo’s nursery…I’m guessing no. Previous Post: « Console Table Facelift! LOVE THIS!!!! This is seriously adorable! 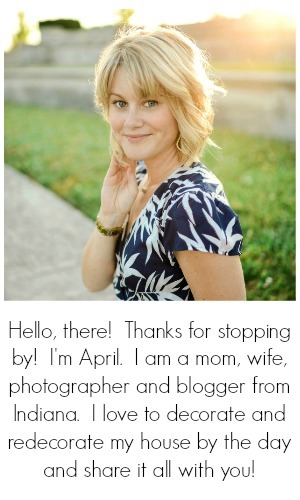 I would love to give you some blog feedback but can’t find your email address anywhere. Could you email me your email address? So sweet! I never had a little girl, so it’s fun to live vicariously through other friends, and this is very special! I love the alphabet picture so much! Thanks! The great thing about the alphabet board is you could do it for a boy too!